And fitting them with studs and rings. You’ll think you’ve been attacked by moles. With diamond barbells look their best. A golden ring goes through your nose. A golden stud through your tongue goes. So for gold spikes the holes we’ll punch. We pierce each bare protuberance. Yet here now lie the bodies of their dead. Now each one sleeps upon its gravel bed. As east to west the belts of iron tie. And in its wake the ways of ages die. It sure will be, and all will see, in time disintegration. So loss is good? – No, that’s absurd. Then all are quiet – none give a toss. I went to a small bush school of only thirty or so children and two teachers. 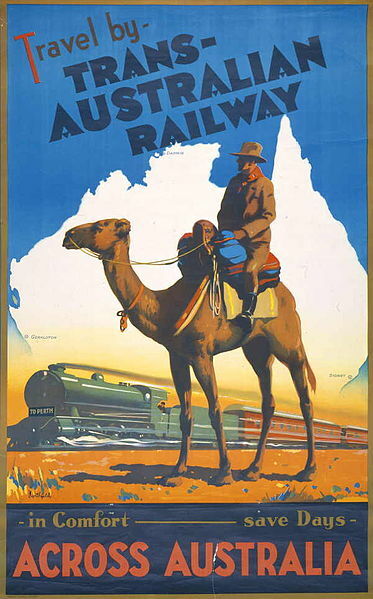 The headmaster was keen on Australian poetry and one of the poems we all had to memorise was The Sick Stock Rider by Adam Lindsay Gordon; I still remember most of the poem today. In her Christmas message in 1992 Queen Elizabeth the second referred to the year as her “annus horribilis” due to all the tragedies and misfortunes that had beset the Royal Family during that year. In her speech she quoted from Adam Lindsay Gordon’s poem Ye Weary Wayfarer, when she said: “Kindness in another’s trouble, courage in one’s own”, but unfortunately didn’t acknowledge the author. It’s difficult to believe that the Queen would not know from where this quote came so we must consider it an accidental oversight. 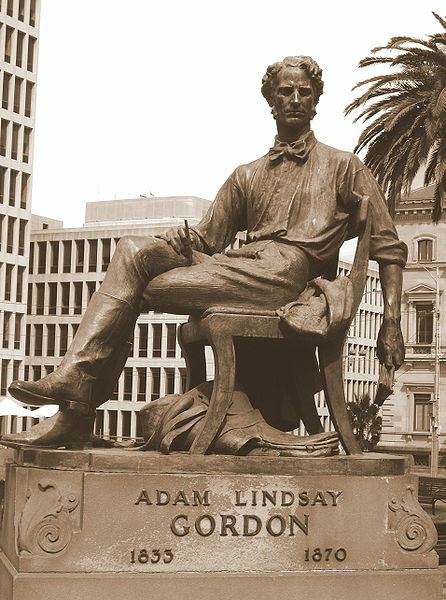 Gordon is arguably Australia’s first poet of note and is the only Australian poet to have a bust of his likeness placed in poet’s corner at Westminster Abbey. Gordon was an adventurer, a brilliant horseman and a gifted poet, but a poor businessman and in the end in his own eyes a failure. On the morning of the 24th of June 1870 Gordon, sick, depressed, and burdened with debt that he could not repay, walked into the tea tree scrub near his house and shot himself. He was 36 years old. Than have their Queen quote from their verse.